While Zechariah was in the sanctuary, an angel of the Lord appeared to him, standing to the right of the incense altar. Zechariah was shaken and overwhelmed with fear when he saw him. But the angel said, "Don't be afraid, Zechariah! God has heard your prayer. Your wife, Elizabeth, will give you a son, and you are to name him John." God caught Zechariah in the fulfillment of divine promises that occurred with the coming of the Messiah. God had chosen Zechariah, along with his wife Elizabeth, to play crucial roles in his great story of grace. Zechariah experienced the once-in-a-lifetime opportunity as a priest to offer sacrifices at the great Temple in Jerusalem. While performing his duties, a heavenly messenger visited Zechariah and revealed that he and Elizabeth would have a son. Despite being well past the age to have children, God was answering their prayer. 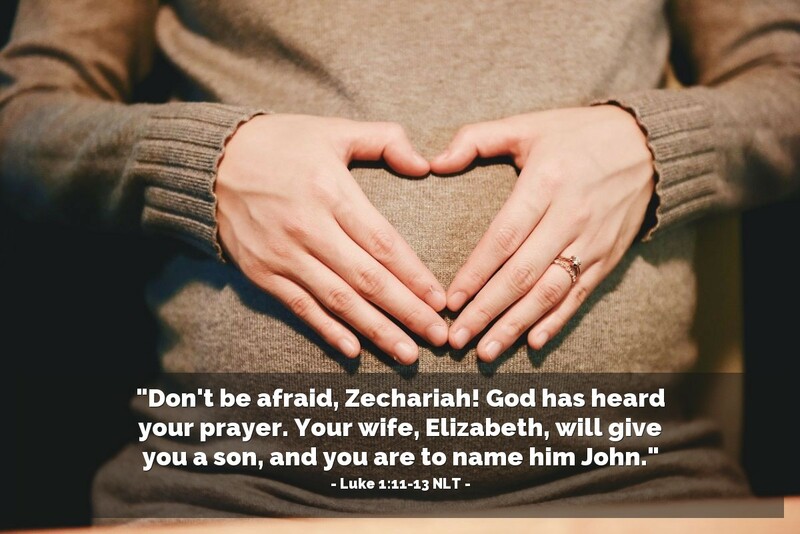 The messenger told Zechariah to name their son, John. He obeyed, and God used Zechariah's "simple" obedience to bless the world. Father, please accept my obedience, including in the little, clear, and simple things, as an offering of my love to you. Take that obedience and bring glory to your name and a blessing to your people whether others know of my part in your plan or not. In Jesus' name, and to his glory, I offer you this prayer and my life. Amen.